Already the 10th level for the modular cavern project. 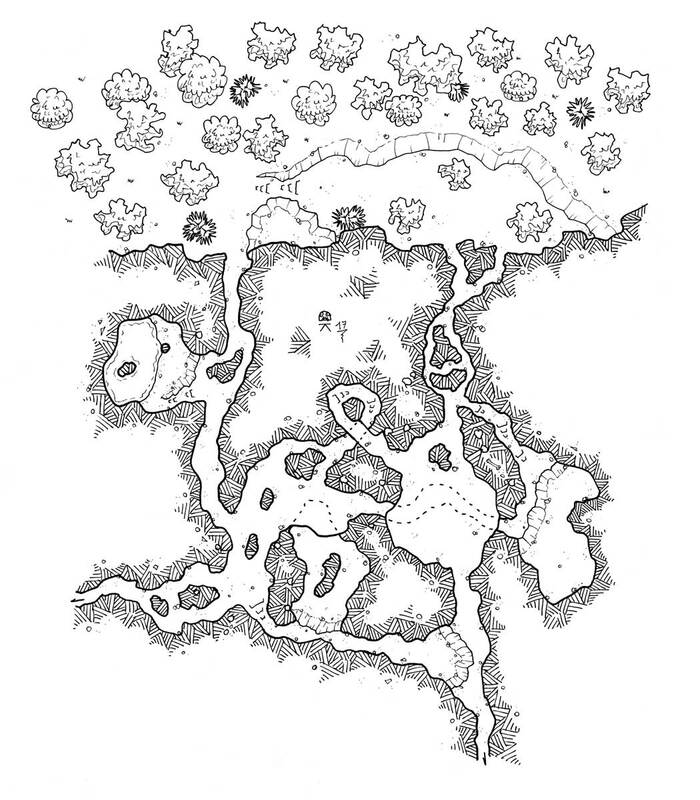 This cave entrance is the last of the three cards I drew during the RPGers game festival. A swarm of giant crickets has been raging in the neighborhood and devours the plantations of a small farmer’s hamlet. The head of the council asked the group of Pjs to investigate these strange events. The Pjs will quickly find that the crickets infest the fields as soon as night falls. In pursuing their investigations, the Pjs will discover that these creatures serve as mount for a group of farfadets installed in the caves.